Apple may need to start worrying as Samsung’s latest Galaxy Tab S3 tablet specs appear to have leaked and they’re out to get the iPad. The Samsung Galaxy Tab S3 leaked on GFXBench where its hardware potential was shown off in all its glory. The tablet is shown packing a Qualcomm Snapdragon 820 quad-core CPU with Adreno 530 graphics and running with a hefty 4GB of RAM. That should help churn out the 9.6-inch screen’s high resolution of 2048 x 1536 without any glitching. 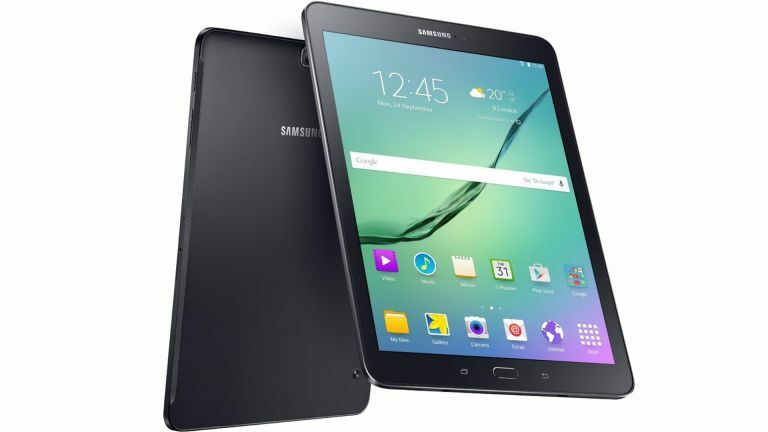 The Galaxy Tab S3 is also listed as having a 12-megapixel rear camera with autofocus, flash and HDR capabilities plus a 5-megapixel front-facing selfie snapper. Storage is listed as 24GB which is likely after taking away the operating system meaning it’ll most likely come with a 32GB storage option. Samsung is expected to reveal the Galaxy Tab S3 at Mobile World Congress in Barcelona at the end of February.